It's the weekend yay. Hope you are all well and truly into the festive spirit, and enjoying the build up to Christmas. I just wanted to share some pics of my favourite fireplace in our home. 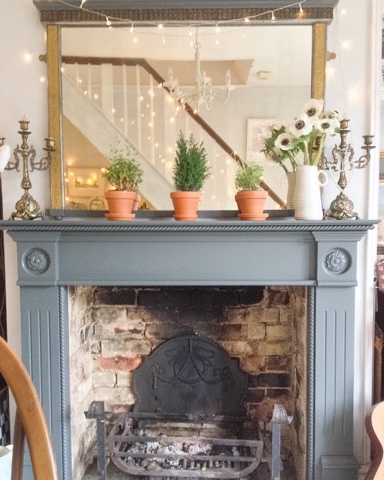 The mantle was already in the house when we moved in, but it was a horrible cherry red wood so it soon got painted, it's been many colours since then, at the moment it is painted in my favourite Christmas colour 'Down Pipe' by +Farrow & Ball. 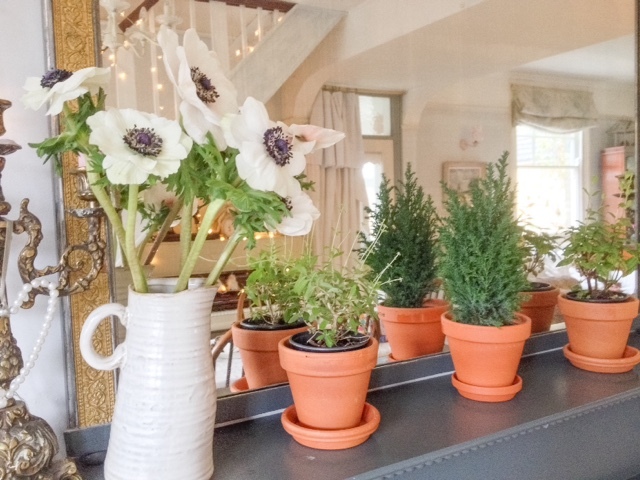 The mirror was a house clearance find, and is also painted in down pipe, I love big mirrors above fireplaces! Great for reflecting light and adding another dimension to any display that happens to be on your mantle. I love the way it reflects the fairy lights from the stairs! 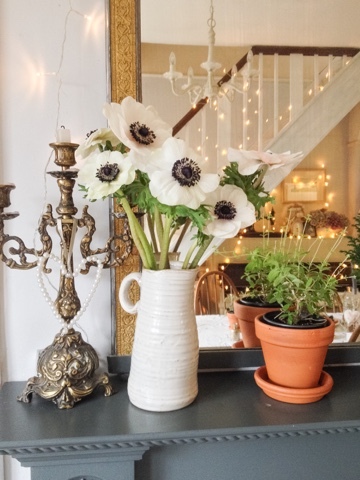 I've just dotted around some potted herbs for some living greenery, and finished off with a jug of my favourite white anemones. can i ask what finish/type of farrow and ball 'down pipe' paint you used?